KAMPALA – Bugweri County Member of Parliament Abdu Katuntu who is the outgoing chairperson of the Committee on Commissions, Statutory Authorities and State Enterprises (COSASE) on Tuesday evening defended his report on the controversial closure of 7 defunct Banks. The MPs questioned the independence of the Committee on grounds that the report does not mention names of individuals or Bank of Uganda officials who were culpable in the controversial closure and sale of the 7 defunct Banks including Crane Bank that was closed in 2016. Katuntu, however, told the MPs to appreciate the report in its state on grounds that they did the report under very tough conditions. “We reviewed thousands of documents and had only 4 days to write the report. We did our best under very difficult circumstances. We did not just come out of the blue with these recommendations. In fact, there was a huge debate on if we should name the culprits or not,” Katuntu said. He said that the committee did not mention names for fear of legal implications following the Fox Odoi Vs Attorney General case. “We did not by any way intend to hide these names. We have made more enemies than friends and at one moment security was suggesting to give us guards. I can give even the names if you want because we have them. We need this report to pass the legal test and if we don’t do that then our works will be in vain,” Katuntu said. 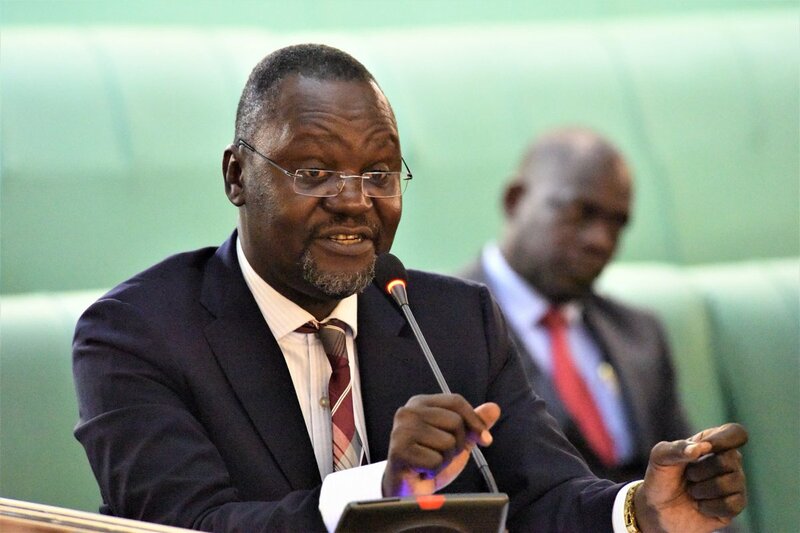 Katuntu said that it was very difficult for the committee to mention names because, during the meetings, BoU officials could not avail minutes of their sittings during the closure and sale of the commercial banks. “How do you name people when they cannot remember who attended the meetings? If there were minutes then you can easily mention names but the BoU officials either did not have them or simply intended to conceal the information,” he said. He deferred with MPs who said that his committee was tough-speaking during meetings but polite in their report. “What happened during the sittings is the same thing that happened in the report except for the recommendations for the reasons I have given you,” Katuntu said. We have sat here listening very carefully on the contributions of colleagues. We take your submission in good faith. This was our proposal and as the rules say the right is in this house to reject all of them. We worked under very difficult circumstances especially last one and half months. So many controversies arose; it took the courage of speaker to guide for us to complete this assignment. We reviewed thousands of documents and only had four days. You don’t know what it means to review thousands of documents and only have four days to write a report. We did our best under difficult circumstances. The debate we are having today, we had it. Don’t think we came out of the blue, some of the committee members were strong that we name. We didn’t intend by anyway to hide these names. Some of those things are discouraging for people who have spent months on the probe. We made many enemies. At one time even security was suggesting to give us guards. It is as bad as that, it isn’t a party. Read the case of Fox Odoi versus Attorney General and court has already taken a decision. I have together with colleagues been conscious of the dignity of this report and if you don’t keep this in mind, will this report pass the legal test? That is what informed our decision. If you think it will pass the legal test, go ahead. We have attorney generals on both houses and pour legal department, they should sit and review this case. As you read this report, you realize there are no minutes. How do you name people when they don’t remember who attended meetings? The only name we have are from bank supervision Justine Bagyenda and Benedict Ssekabira those are the only two whom we could identify during the proceedings. There are people; Emmanuel Mutebile who was the Governor, because he is the Chief Executive and his Deputy, Louis Kasakende. Those ones, we could hold them responsible for not supervising. The rest it will take some professional institution to bring name. If there are minutes, you would say X,Y,Z can you imagine Central Bank holding meetings to close a bank and there are no minutes? Some said we appeared tough during the proceedings, for us it was more less like a movie. We are really angry because we were seeing it live. You sober up to be. This report isn’t a judgment because we aren’t a court of law. This is a probe meaning bringing facts on the table. This isn’t the court of law where we are going to write and convict people. that anger we will have it and we will have to measure it. We have 43 recommendations this report is about not following the law, the first thing you should do is remind them to follow the law. The issue about following the law is the fist if they had followed the law, would we be here? The worst about it is that the external lawyers are actually directors of commercial banks so how do you get directors to be principle legal advisors of the central bank against another bank. In economics, it is called That is regulatory capture. BOU has eleven lawyers all with masters yet even simple things like drafting agreements they are going to commercial lawyers. The issue of BOU hiring external lawyers should be done in rarest of circumstances and Board must be involved. We invited shareholders to come and appear before the Committee after that, that is when we received a letter from Greenland Bank lawyers, Elias Lukwago. I don’t want us to create an impression that there is some evidence we shut out. If the lawyers were vigilant, they should have come with a team of shareholders. What possible alternative did the committee have, everybody who had an opportunity we invited them. We have opened a door which nobody has ever opened. I met the director of one of the commercial bank, what you have done the commercial banks had been terrrorised but had no forum to raise their complaints. The ED was superhuman beings. It is only now that any committee can summon. The President wrote objecting to this inquiry, not public, but the whole process. It took courage for this institution to say yes sir, if we had failed, I don’t think anybody would have looked into the Central Bank. Speaker Rebecca Kadaga: Members went to radios to bash the report. I told them it is of no usage instead of bringing this House into disrepute and it is a habit.